In 1632, Lord August Godwine, an Austrian nobleman, commissions Swiss clockmaker Frederick Jori to create a miniature city of automatons to amuse himself and impress the aristocracy. When Jori refuses to commit offenses against God, he undergoes brutal, unimaginable torture until the once-pious craftsman surrenders to his fate. 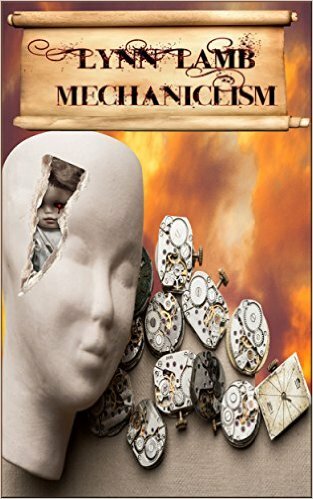 But what he hides in the innocuous-appearing automatons ignites a horrific apocalypse—one that will not be realized for 400 years. In 21st century San Francisco, Ireland Barton is a brilliant, successful young scientist, but there is one drawback to her perfect life—she suffers from a rare immune disorder that keeps her confined in a plastic bubble. When a new virus is released on the world, she begins a heart-pounding race to find a cure to save what is left of humanity and battle malevolent forces housed in 17th century figurines. As two worlds—two time periods—collide, will Ireland unravel the mystery of the dolls before the clock winds down on humanity?